Tabea Debus – There is only one Bach … ? There is only one Bach … ? 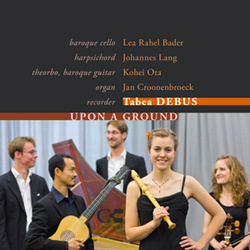 Tabea Debus, recorder, Lea Rahel Bader, baroque cello, Johannes Lang, organ/harpsichord. JS Bach: Organ Partita ‘Sei gegrüsset, Jesu gütig’ BWV768; Inventio No. 7 in E minor; Cello Suite No. 4 in Eb BWV1010; Recorder Sonata No. 1 in Eb BWV525; French Suite No. 2 in C minor. CPE Bach: Flute Sonata in E minor H551, Harp Sonata in G Wq.139/H563, Fantasia in C for Harpsichord H284. St John’s, Smith Square has always been a concert hall that, despite an eclectic range of programmes, has had a particular affinity with early music, particularly of the Baroque era. A very welcome further step in that direction came with the announcement of their Young Artists Scheme which, for the 2015/16 season includes two specialist early music performers amongst the four awards (see here). These awards are intended to provide a performance platform, marketing and development assistance and career support for exceptional young artists on the brink of their professional careers. They are given three performance dates in St John’s Smith Square. 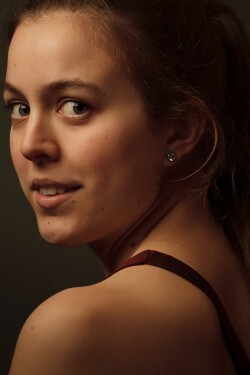 Tabea Debus is a young recorder player, currently studying at the Royal Academy of Music. She first came to my attention when she sent me a review copy of her first CD (reviewed here). I was very impressed with her musicality and technical ability, a view strongly reinforced by her recent Young Artist performance at St John’s, Smith Square alongside fellow musicians Lea Rahel Bader, baroque cello, and Johannes Lang, harpsichord, the three collectively appearing (but not on this occasion) under the group name of TR!Jo. As with Mozart’s comment that “Bach is the father, we are the children”, it is still a surprise to many people that the quote “There is only one Bach” actually referred to CPE Bach, not his father. The latter comment came from the flute-playing Frederick the Great, King of Prussia. Tabea Debus’s well-chosen programme provided some clues as to the relative merits of the two composers, and their close companion, Telemann. Most of the pieces played were arrangements by Tabea and members of the group, starting with a very impressive arrangement of several movements from JS Bach’s monumental organ Choral Partita Sei gegrüsset, Jesu gütig. Omitting the opening chorale, the eight variations demonstrated just how adaptable Bach’s music can be, and also revealed a more meditative and introspective mood to the work, which in its original form uses the full resources of a large German organ. The last movement, a massive five-part tutti chorale (marked Organo Pleno), was particularly effective played with these reduced forces. The two part variations included some sensitive continuo additions on the little chamber organ. One of JSB’s little Inventios acted as a prelude to CPE Bach’s Sonata in E, intended originally for the flute-playing Frederick the Great. The contrast between the music of father and son was immediately apparent. CPE was only about 8 when the Inventions were written for his elder stepbrother WF Bach, and the represent JS Bach’s rather strict contrapuntal style. By the time CPE came of age, musical style was far more about the overt expression of emotion and the passions – which seem to change every few bars. Also written for his son’s enlightenment, JS Bach’s six organ Trio Sonatas have long been adapted by instrumental groups. The first of the set is one of the best known, and received a glittering performance by the three players. The harpsichord made some subtle filling in of a notional continuo, but that generally dropped out when he had an independent line of his own to play. I generally prefer the musical left as Bach intended it, unless there are three solo instruments and a separate continuo player – but that can confuse the texture. The Sonata was introduced by the opening Prelude from JS Bach’s Cello Suite No 4, very well played by Lea Rahel Bader. The second half started with another segued series, with CPE Bach’s jovial Harp Sonata in G encased within the two parts of an arrangement for solo recorder of JS Bach’s French Suite No 2, the harpsichord providing a link between the father and son, an overhead hovering helicopter being an unwelcome addition. It seems perverse to arrange a harp piece for recorder, but it worked. A bit of a challenge for supremacy came with the following harpsichord solo, CPE Bach’s complex and showy Fantasia II in C. This was CPE Bach in full flow, with extremes of improvisatory contrast that seemed rather out of place amongst the rest of the programme. It would have sounded much more effective on a clavichord, even if it would have only been heard by the front few rows. The evening finished with the only non-arranged piece, Telemann’s 1728 Sonata in C for recorder and continuo. Again Tabea Debus demonstrated her superb sense of mellifluous musical line and rhetoric. A little CPE Bach Allegro was a fitting encore from three very talented young musicians. I just wished that the London concert going public who turn out in droves for the high profile, recording company backed performers, would have made a bit more effort to come and encourage younger musicians. The future is in their hands, and they will be providing musical excellence for many more years than the aging super-groups. They need support at this stage of their careers. A video of Tabea can be found here.